Formats web pages beautifully for reading on small screens. There are a few things we could nitpick, but no major dislikes from us. Those of us who are still tied to our laptops and desktops come across websites and content that would make perfect reading and viewing material for our tablets and phones. Every day I find new articles or colleagues send links I’d like to save and read on my phone when I have down time. Back in the day (3 years ago), I used a number of browser apps to get website content from my desktop to my mobile devices. There was Chrome to Phone, Diigo, Evernote and Instapaper; I used them all and each had its own strengths and weaknesses. When it came to blog posts and articles, none could provide a good reading experience on small screens. Instapaper did a decent job, but I wasn’t completely satisfied with the results. And then along comes Pocket. I gave it a shot and it immediately became my primary save-it-for-later reading app. 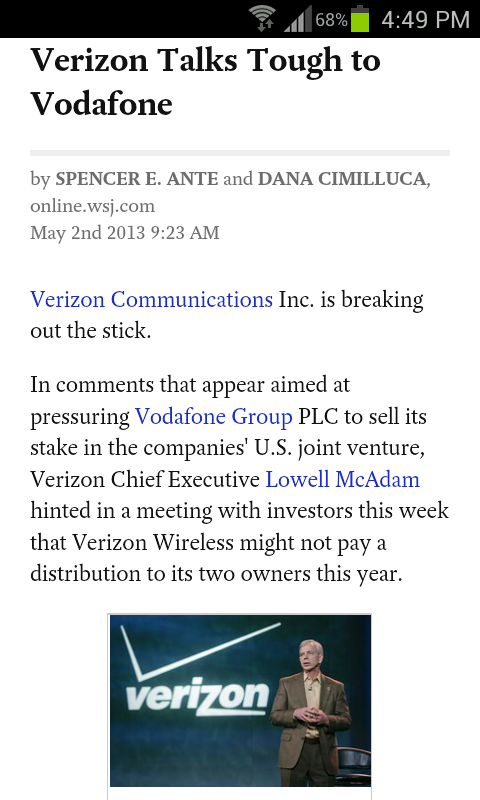 The saved versions of online articles are beautifully formatted for phone screens, including pictures and videos. It keeps a queue of saved items with headlines and thumbnails. Once items are read they come off the list or you can delete without reading. Read items are also archived if you want to reread anything. Not only do I use it for saving reading material, it has a number of other very useful features like reading your article out loud, sharing valuable information with friends and organizing content via tags. There are a few ways to save articles and other content you want to view later. The method I use most is the Chrome extension. There’s also a Firefox extension and a bookmarklet that should work with any other browser. The extension adds a button to the browser toolbar when clicked will save the page you’re viewing. Twitter, Like and +1 buttons. 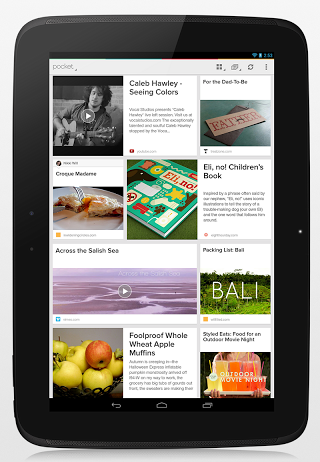 Pocket is also and is integrated with dozens of other apps such as Flipboard and Google Currents. All saved items are waiting for you on any device you have the app installed. When you find time to read, launch the app on your phone or tablet, and you’ll have a list of all items you’ve saved. And of course, you can access your reading list on your good ’ol desktop computer. Oh, and your saved items are available offline on your mobile devices. 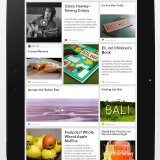 Pocket is free for Android devices.